THERE IS NO COMPANY OUT THERE THAT CAN MAKE A PRODUCT THAT STAND UP TO BURBANK'S QUALITY. Head Protector for L Screens and protective screens. Helps block balls coming over top of screens. Especially useful in batting cages where balls come off roof of net and hit pitcher. Head Protector for L Screens and protective screens. Helps block balls coming over top of screens. Especially useful in batting cages where balls come off roof of net and hit pitcher. Add this to any existing screen with minimal work. 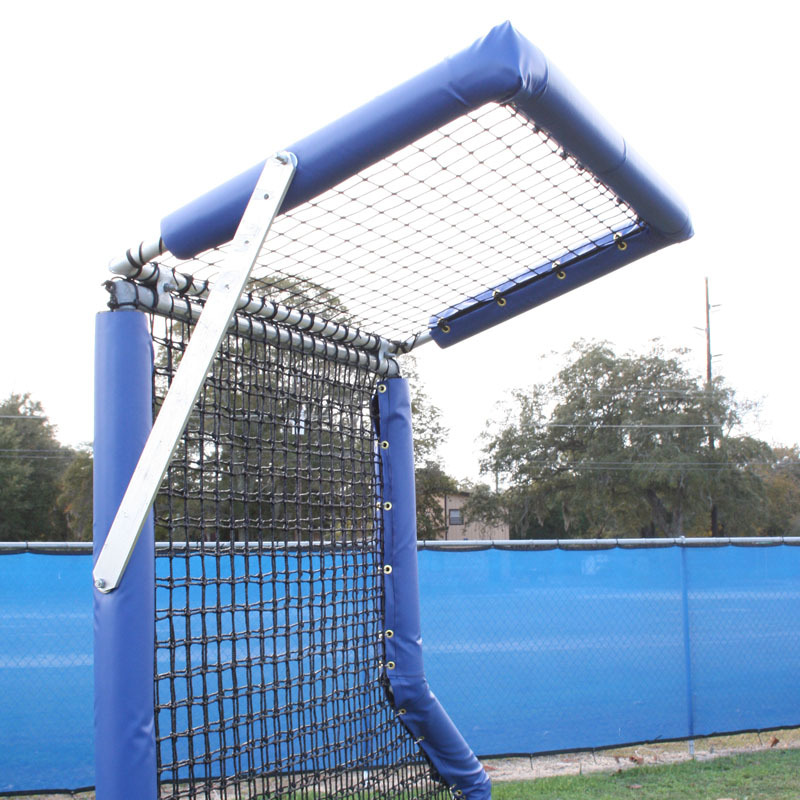 Screen comes with aluminum frame with netting pre-installed, galvanized steel support arm, and two panel clamps to attach to existing frame. Copyright © 2019 Burbank Sports Nets. All Rights Reserved.